In 2010 social worker, academic and author Brene’ Brown delivered a TED Talk entitled “The Power of Vulnerability” to a highly appreciative audience. The talk started something of a popular movement exploring notions of human vulnerability and shame in western cultures. It brought to greater attention the effects of an increasing trend towards perfectionism – the desire to conform to externally mandated norms - in those cultures. Amongst the symptoms of this trend, Brown noted an increasing need to make the uncertain, certain. She referred to both political and religious environments as the prime example of where this has occurred and is occurring. She specifically labelled as nonsensical, the idea that something called faith could have come to be about certainties and not about questions. In 2006 the Progressive Christian Network of Victoria asked me to prepare and deliver a minor memoir of faith. I chose to call that reflection “Beyond Belief: When Faith is Something Deeper.” That title, and the ideas presented under it, gives some clue to my developing relationship with certainty, or perhaps more correctly with uncertainty. Faith and belief have come to mean the mental assent that we give to a set of fixed propositions about a particular subject. 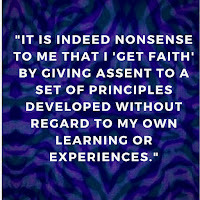 By that definition, my faith journey has indeed been one of trying to explore beyond belief. 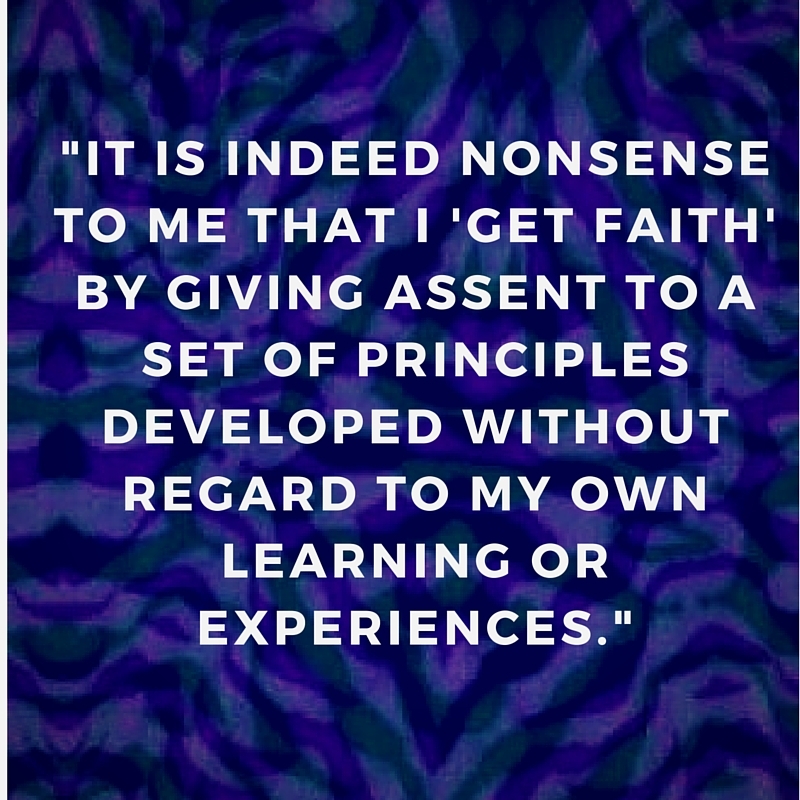 It is indeed nonsense to me that I get faith by giving assent to a set of principles developed without regard to my own learning or experiences.